Wondering if a remarketing campaign is worth the investment? Remarketing is the most cost-effective advertising method that increases customer retention and engagement… IF you’re doing it correctly. But if you don’t follow remarketing best practices, you could be wasting your time and money. In this article, we’ll show you top 10 remarketing best practices to skyrocket your conversions and boost your revenue. What Is Remarketing or Retargeting? Remarketing (also known as retargeting) is the practice of using ads to target those who have already shown an interest in your products or services by visiting your website. With remarketing, since you’re showing highly customized ads to people who have previously visited your website, they’re more likely to click on your ads, making the entire campaign cost effective. Popular ad networks like Google AdWords, Facebook Ads and Bing Ads, etc. allow you to set up remarketing campaigns easily. To be able to run a remarketing campaign on any network, you’ll need to install a remarketing pixel on your site that automatically adds a cookie on your visitors’ browser. Your ad network can then identify the cookie while visitors are on their partner sites so that you can display a customized ad you’ve created just for them. The remarketing best practices are classified into 3 sections. In this section, you’ll find tips to increase the engagement of your remarketing campaigns with your Google Analytics account. It is highly recommended to use UTM parameters to better track your ad campaigns in Google Analytics. UTM parameters, also known as UTM codes are little snippets of text added to the end of your URL for better tracking in Google Analytics. 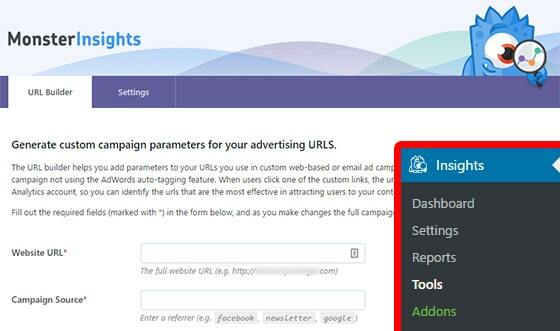 By creating campaign URLs with UTM codes, you can analyze which campaigns are high performing, which ads and keywords (for CPC ads) are triggering the most clicks. To learn more about building campaign URLs with UTM codes, you can read about marketing campaign tracking in Google Analytics. If you’ve set up Google Analytics on your site, your Analytics account will already have an abundance of customers’ interaction data. If you want to make use of your Analytics data to better track the interaction of your customers you acquired through remarketing, you need to link your Analytics account with AdWords. This way, you can import your valuable Analytics data such as metrics, goals and eCommerce transactions into your AdWords account. Read how to link Google Analytics with AdWords to import your Analytics data into AdWords account and vice versa. Do you want to retarget your high-value customers based on their age, gender, and interests? Remarketing allows you to target your high-value customers based on various customer demographics to boost your ROAS (return on advertising spend). For instance, if you’re an eCommerce merchant, you can identify the age group, gender and interests of your highest spending customers. Based on the data, you can retarget your ideal audience who are more likely to spend more on your site. In this example, the Age report shows that 18-24, 25-34 and 35-44-year-olds together make up the majority of users, but the 25-34 and 35-44 segments contribute the most revenue and have the highest conversion rate. To be able to find your high-value customers, you need to enable demographics and interests report in Google Analytics. Once you’ve identified the customer segments that are more likely to spend more on your site, you can retarget only those specific segments to increase your ROAS. This section explains how to maximize profits from your remarketing campaign with onsite optimization. On average, it takes about 3-4 visits to your website for your prospective customers to make a purchase. That being said, you can’t sit idly by while your potential customers leave your site before conversion. You don’t have to wait for them to return more often through your remarketing campaigns. In fact, waiting for your potential customers to return often to drive conversion will only increase your advertising budget. Rather than sitting idly, you can take a second chance to convert your visitors into customers with onsite retargeting before they leave your site. Now don’t get confused onsite retargeting with the traditional remarketing ad campaigns. The traditional remarketing is offsite remarketing because you target your potential customers after they leave your site. With onsite retargeting, you target your potential customers on your site before they leave by prompting a customized exit popup campaign. The exit popup will be triggered by detecting the user behavior at the precise moment your customers are about to leave. This way, you can convert an additional 2 – 4% of your visitors into leads and customers. The easiest way to create onsite retargeting campaign is by using OptinMonster. Read more about exit intent campaign ideas to grow your revenue. This section explains how to optimize configuration in your AdWords accounts to boost your return on advertising spend. While you’re allowed to retarget any visitor who happened to visit your site, it is highly recommended to bid high for those who have visited your key pages and bid low for other visitors. This is due to the fact that people who have visited your key pages such as pricing, products or other landing pages are more likely to turn into your paying customers. Frequency capping allows you to limit the number of times your ads appear to the same person on the Display Network. Choosing the optimal frequency cap for your remarketing campaign ensures that you’re not wasting your advertising budget by targeting people who don’t want to be your customer. It also ensures that your ads aren’t annoying your potential customers by targeting them too often. Dynamic remarketing takes remarketing a step further. While remarketing allows you to show ads to people who have previously visited your website, dynamic remarketing shows ads that contain exact products and services they viewed on your site. Dynamic remarketing is a perfect retargeting strategy for eCommerce merchants to retarget their potential customers on Google Display Network. While creating a dynamic remarketing campaign, make sure that your ads can display product-specific images from your product feed. To ensure high-quality product view, you need to optimize the store’s library of product images so that it looks neat when appearing in dynamic remarketing ads. While creating a remarketing list, an important metric you need to look at is the time spend on your site. If someone spends more time on your site, it indicates that they are more interested in your content and are more likely to become your customer. To stop spending your remarketing dollars on people who are not interested in what you have to offer, it is recommended to filter out people who don’t spend enough time on your site. 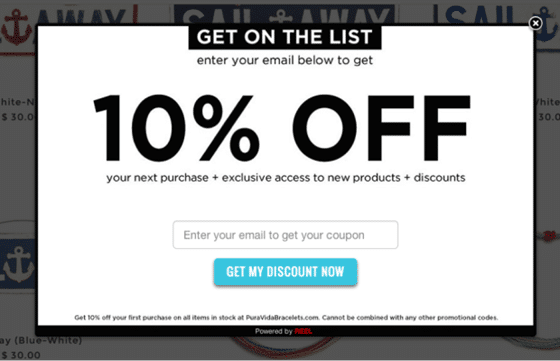 Have you ever made a purchase online only to find you’re being inundated with remarketing ads? Remarketing to existing customers is a great strategy to increase repeat purchase but this can also annoy your existing customer base, in turn, creating a bad impression on your company. While you can always remarket your existing customers after a certain period of time, it is better not to annoy your customers by inundating with remarketing ads just after their purchase. You can use a burn pixel to stop serving ads to recently converted visitors. This way, you can save your advertising budget by not asking your recent customers to take the same action twice. Segmenting your audience based on their interaction is a great strategy to show a highly customized ad to your potential customer. By audience segmentation, you can address the concerns of your customers in their buyer journey and increase the click-through rate of your ads. For example, when a visitor comes to your homepage, you can target them with creatives that are geared towards to increase brand awareness. If they’re engaged with your pricing or products page, you can convince them to become a paying customer with a custom ad. In a nutshell, audience segmentation helps you to create a highly engaging remarketing campaign by helping your customers in their buyer journey. We hope this guide helped you understand the best remarketing practices to boost your conversions. If you enjoyed this article, you might also want to read how to track Facebook ads in Google Analytics. And don’t forget to follow us on Twitter and Facebook for more Google Analytics tutorials.